Amalia Adventure welcomes you to Tanzania. The land of Kilimanjaro and Zanzibar. Amalia Adventure was established in November of 2009 by local Tanzanians, people who know their countries’ customs and traditions. It is managed and directed by people who are well versed in the art of hospitality. Over the years the company has accumulated a wealth of experience and resources, both human and material. We are capable of deploying this experience to give any holiday maker or special interest traveler a wonderful and memorable experience. Amalia Adventure operates in Tanzania and throughout the East African region through its sister companies in neighboring countries. Amalia Adventure was established to specialize in adventure holidays in Tanzania. Predominantly centered on Mount Kilimanjaro and the various trekking routes, the company has expanded to include trekking on the lesser-known Mount Meru and to encompass wildlife safaris in the Northern Tanzania Game Parks and also beach holidays on the mainland coast and on the island of Zanzibar. Based in Moshi, at the foot of Mount Kilimanjaro the company is ideally located to arrange and operate treks on the mountain. Treks start from the company\’s Office, where it is possible to supplement ‘kit\’ from the company\’s equipment and clothing hire service. It is important for us to ensure that trekkers who travel with Amalia Adventure are fully briefed and equipped so as to have the most enjoyable and successful experience on the mountain.Personal attention to all our clients over the years has earned Amalia Adventure the reputation of being one of the most experienced trekking tour operators in Tanzania. From our experienced mountain guides and porters, to driver guides, safari guides, camping personnel, to our efficient and friendly office staff, all follow the example set by Miss Stella Chuwa the Managing Director. We handle all aspects of any type of visit to Tanzania, for visitors from all around the world, who return to us and recommend us to their friends. – Trekking on Mount Kilimanjaro in mountain huts or camping and trekking on Mount Meru – camping – wildlife safaris in the northern game parks of Lake Manyara, Tarangire and Serengeti and Ngorongoro Crater and Olduvai Gorge. 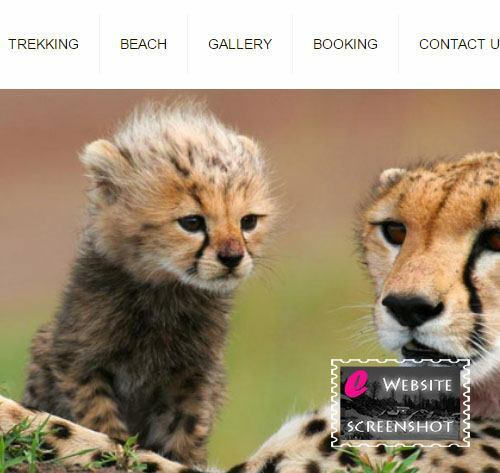 – Camping safaris in the northern game parks. – Beach holidays on the Indian Ocean coast or on the island of Zanzibar – Pre trek acclimatization trips. – Post trek safaris or beach holidays – transportation and transfers utilizing our own specially adapted four wheels drive vehicles. Our prices are competitive, but we are not the cheapest. We believe that only with realistic prices can we maintain the professionalism, efficiency and high standards of service that has earned us the reputation of being the tour operator who provides the best value with the utmost reliability.